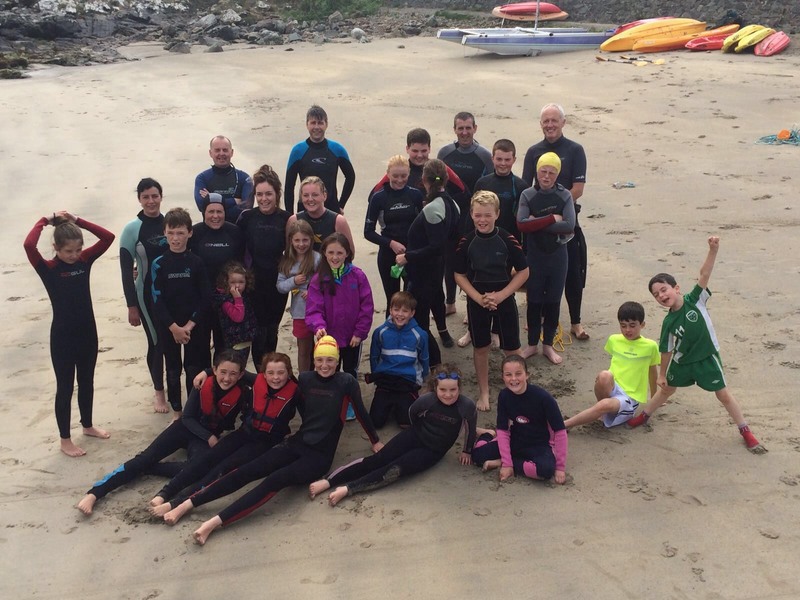 ‘Pier to beach’ is the shorthand term for the 1km (0.8-1.2k depending on the tide) swim from Portnoo pier to Narin beach. It was pioneered many years ago by a hardy local or two, and more adventurous visitors. 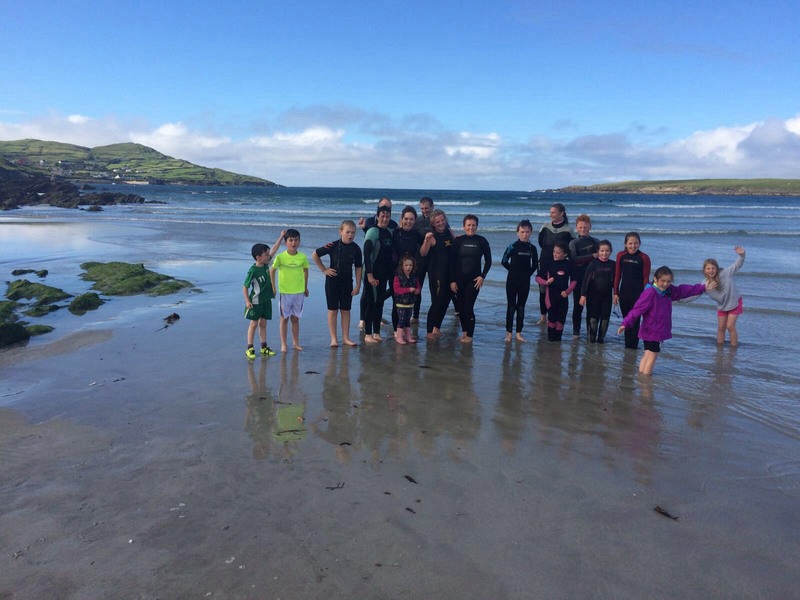 In recent years swimming has seen a massive growth in the area, mainly due to the water safety weeks in Narin,(incidentally Narin is the biggest water safety event in the county, and possibly country). It comprises two weeks and somewhere between 150 to 200 participating children of all levels). The first of us to consider this swim thought it a mammoth undertaking and trained for what we considered a true athletic achievement. However, the last few years have proven that even the most basic swimmer/splasher can make it under correct supervision. In 2016, 108 separate individuals crossed under supervision, and hundreds of crossings were completed, mainly in August & September.The vast majority were local and the majority of those were kids. The photos show the before and after i.e. Portnoo pier and Narin beach!